Today is the 9th anniversary of 9 / 11, a second “day of infamy” when in an act of war, the USA was struck by Islamic terrorists. The first “day” was Pearl Harbor, when we were attacked by the Japanese. Both days were declarations of war. At terrible cost the first war was won, and we must win this second war which is directed against Christians and Jews, and Western Culture as a whole. 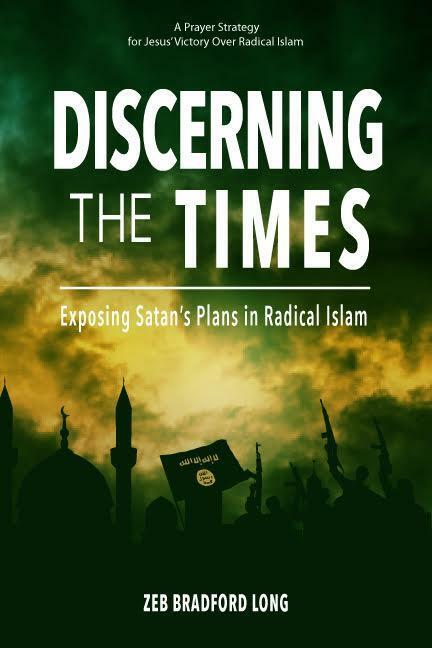 I have been writing quite a bit about the demonic stronghold of Radical Islam in my Discerning the Times Briefings over the past six months. Today, on this anniversary, I need to say something here as well. The demonic stronghold of Radical Islam, with their human agents, has declared war on the USA. If you do not believe we are in a war, just recall the images of people hurtling to their deaths out of the flaming World Trade Towers. Consider also the numerous deadly attacks against Israel and the UK, and the attempted attacks against the USA since 9/11. Consider also what they are doing now with trying to seal their “invasion beachhead” with the building of the Cordoba House and Mosque near Ground Zero in NY. And finally, look at the audacity of the imam promoting this project who claims that if it is not built we will further incur the wrath of the Muslim world. They are using fear of more violence against us to secure the beachhead that they have already obtained through the violence of the 9/11 terrorist attack. This is a military, political, cultural war that we are in and it must be fought and won at all those levels. But for us it must be seen primarily as a spiritual war. The only way of victory and lasting true peace is for the demonic stronghold of Radical Islam to be overturned by the love, mercy and authority of Jesus Christ. The only way to see real victory is for those who are in captivity to the deception of Islam to discover that the only way to receive God’s forgiveness and go to paradise is through Jesus Christ. On 9/11 I believe Jesus Christ is calling His Church to a “Crusade”. Not a crusade of the sword – that kind of crusade must be left to the military and law enforcement agencies who must fight against and defeat those who declare war on us. Our “Crusade” must be one in which we are called to advance the Gospel of Jesus Christ. Our Crusade must be one of prayer! Jesus has given us some very specific directions as to how to pray. In Luke 11:2 “Thy Kingdom come…”, Matthew 9:37-38 “Pray the Lord of the harvest to send workers” and Acts 1:8 “…when the Holy Spirit falls upon you and you will be my witnesses.” These commands may guide our prayer crusade in the following directions. A Call to a Crusade of Prayer for Advancing the Gospel of Jesus Christ into the Muslim World. 1. We must pray for revival and holiness in the Church. 2. We must pray for a mighty outpouring of the Holy Spirit to equip us with vision, gifts and power for advancing the Gospel into ground lost to liberalism and unbelief. We must be about re-evangelizing our own nations of Canada, United States, United Kingdom and Western Europe. 3. 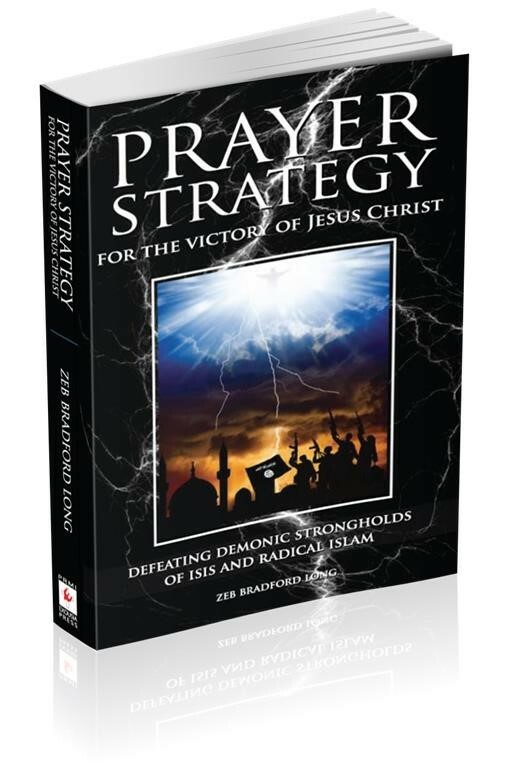 We must pray “Thy Kingdom come” in which we pray that God the Father, Son and Holy Spirit will defeat all other Kingdoms – especially the demonic strongholds of Liberal Progressivism and Radical Islam (and any others that are opposed to true faith in Jesus Christ). And that the Kingdom of God will be established. We must pray for a great prayer and missionary movement to reach every single Muslim on earth in such a way that they can really hear the Gospel and be given the opportunity to receive Jesus Christ as the way for forgiveness and life everlasting. 4. We must pray for an extraordinary outpouring of the Holy Spirit fulfilling Acts 1:8, “You will receive power when the Holy Spirit falls upon you and you will be my witnesses” giving the whole Church of Jesus Christ all the spiritual tools to accomplish this humanly impossible mission of converting the Muslim world. 5. We must pray for the “Lord of the Harvest”, that is God the Father, to send laborers into the harvest fields of Muslim hearts and minds. Pray that all of us will empowered and equipped to be witnesses ready to share our faith and even be martyred for the faith. And let us be able to witness with signs and wonders. Also in those places where human witnesses are forbidden, ask the Lord to work through all means possible – the internet and directly through the Holy Spirit or angels working in signs and wonders. 6. We must pray for those political, cultural, and military leaders and all those on the front lines, to have wisdom, courage and clear vision, to win this war on the military, political and cultural front. .
A Call for a Crusade of Prayer for Advancing the Gospel of Jesus Christ into the Muslim World. 9:09 min video of Dr. Brad Long With a Call for a Crusade of Prayer.